Below is a list of additional Housamo-related resources with a short description. Additionally, you can leave suggestions in the comments section below. https://drive.google.com/open?id=1QUyWI1ZpMl0zDE3gQabDULqF84cNnayE An externally handled Drive of additional resources from a member of the Discord. https://housamo.club/ Hosts the User IDs in a convenient manner, as well as other neat tools. housamo.xyz community Discord A very active community Discord server. Please read the disclaimers. 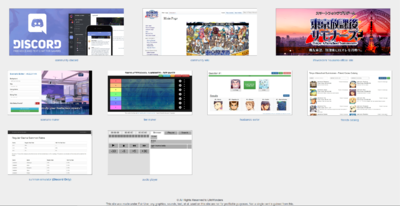 https://boards.housamo.xyz/ A very inactive image board. /housamo/ has occasional threads, while /art/ receives some art-related posts. https://app.housamo.xyz/vn/ A from-scratch recreation of Housamo's VN portion. Playable, but not complete. https://app.housamo.xyz/cards/ A from-scratch recreation of Housamo's card viewer. It'll list every card it's currently programmed with. https://app.housamo.xyz/replay/ A proof of concept battle log replay player. Only works for what the server (the housamo.xyz server) has retrieved privately. https://app.housamo.xyz/ A collection of all the utilities above. Comes with a My Guild recreation too. A standalone Electron-based client for Windows is available here. This client may ask for network connectivity. You can either accept or reject access. There's no advantage to using this over the in-browser version, as they're functionally equivalent. This page was last edited on 3 January 2019, at 21:51.